Peugeot 3008 Boot Space, Size, Seats | What Car? 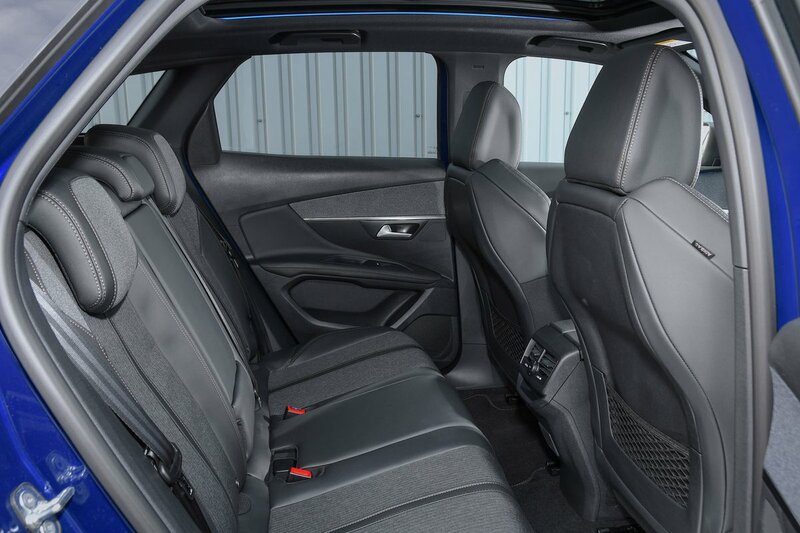 There’s plenty of head and leg room to accommodate taller adults, and the interior is wide enough to put a comfortable distance between you and your front-seat passenger. Storage options are also right up there with the class best. While the glovebox is rather small, opening the central armrest reveals a vast cavern beneath which is air-conditioned, too, to keep your packed lunch cool. Just in front of it sits two cup holders, and there’s a tray for your mobile in front of the gear lever. You also find big front door bins with a recess for a large bottle of water in each, which are carpeted inside on GT Line trim and above, to stop loose items rattling around. The optional panoramic glass sunroof (standard on the top GT Line Premium and GT trims) severely restricts rear head room, so avoid it if you regularly carry adults of above average height. Otherwise, even those over six-foot tall should be quite comfortable. Leg room is reasonable, but not as generous as in the Seat Ateca or VW Tiguan. Those two are slightly wider, too, and consequently more accommodating when three adults sit abreast. 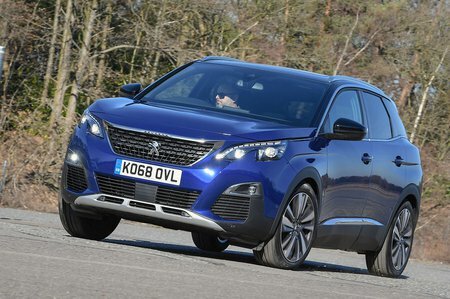 Whoever does end up in the middle seat, though, will find plenty of foot space in the 3008, though, thanks to it’s flat floor. A rear armrest with integral cup holders, map pockets on the back of the front seats, and relatively small door bins, aid practicality and comfort. Folding rear seats are standard, but these are split 60/40 rather than the more convenient 40/20/40 arrangement that some rivals can offer. Handy quick-release levers next to the tailgate opening make it easy to fold the backrests down, though, and they lie completely flat once lowered. Unlike the VW Tiguan, the rear seats don’t slide or recline but the front passenger seat can fold flat. 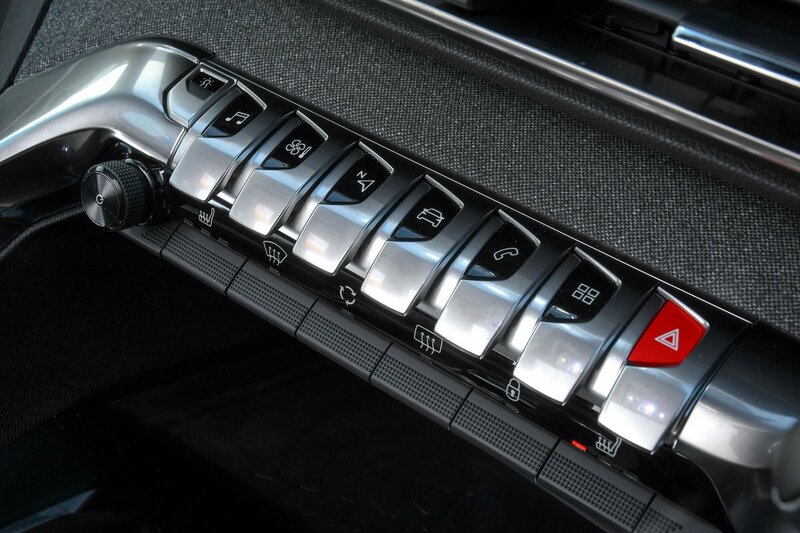 This allows you to use the full length of the car – from boot to dashboard – to accommodate really long loads. While the boot isn’t quite the biggest in the class, it’s still impressive enough to fit a buggy with ease or a couple of large suitcases. It’s a useable space as well, with no awkward intrusions. All models come with an adjustable boot floor that you can raise to create a separate space beneath. Lift it up and handy spring-loaded catch points latch it open, leaving both your hands free for lifting things in and out. There’s no awkward loading lip or step in the extended floor when the rear seats are folded down. A powered tailgate, which you can open with a swipe of the foot underneath the rear bumper, is optional on most of the range, and standard on GT Line Premium and GT trims.